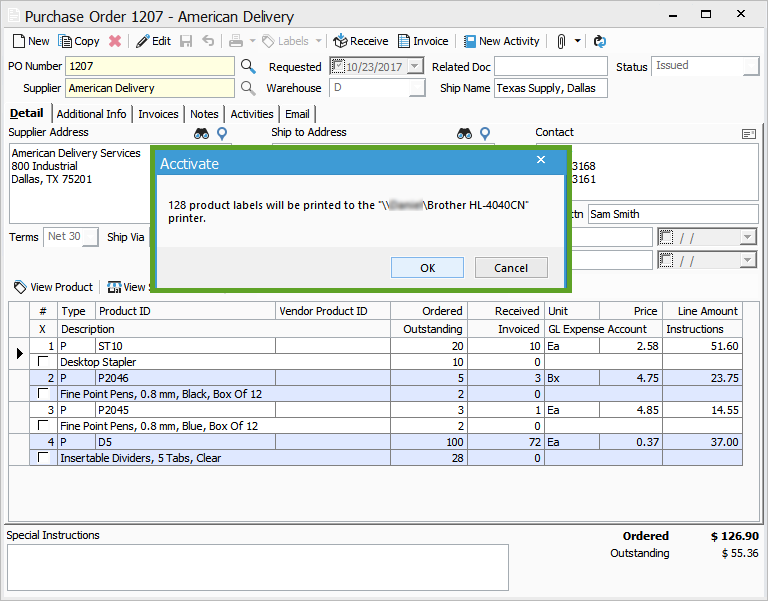 Acctivate allows you to generate product labels from a vendor Purchase Order based on the products ordered and purchase order quantities. 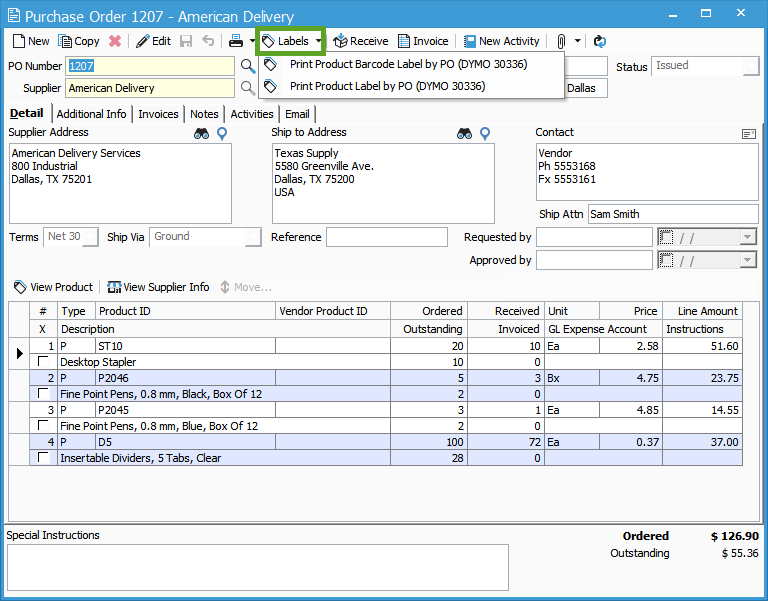 From the Purchase Order window, you would click the ‘Labels’ button in order to see the label options; you can choose from a barcode label or a product label. The labels may need to be modified to fit your label size of include any particular information. If you are not already working with a Crystal Reports writer then contact our support team for more information. When you choose the label that you would like to print, Acctivate will confirm that you want to print the labels to the default printer. You will not get a preview, the lables will be sent directly to the printer. Each product will have a quantity of labels printed that match the ordered quantity.